Among motorists, it is widely believed that the backlash in the steering rail car production Volga automobile plant cannot be eliminated. Say, the domestic auto industry produces cars whose steering rack is not tightened. This view is mistaken. - special wrench, octagon 17 mm. The occurrence of knocking of the steering mechanism, which is felt by the driver while driving as a minor kickback in the steering wheel when hitting a vehicle on an obstacle or pothole in the road causing him concern and encourages the owner to rectify faults. The procedure for elimination of unacceptable backlash, which appeared in the steering, is carried out on the pit, the ramp or lift. While below the vehicle, remove the skid, if provided. 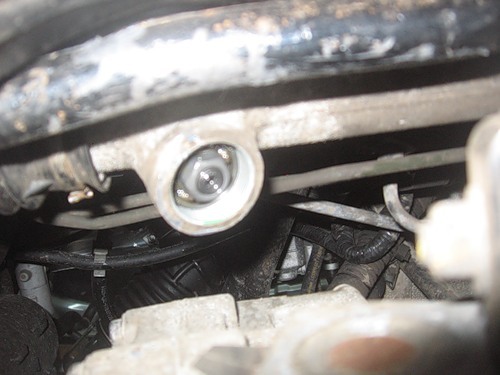 Then, on the rail on the opposite side of attachment of the steering shaft facing the body, find the adjusting nut, which many confuse with the tube. She usually "hides" under a layer of dried mud. Clean the nut from dirt, insert a special key and tighten it by clockwise rotation, thereby eliminating the gear backlash in the steering rack. After solving the problem, a motorist on your own experience make sure that the steering racks of the domestic production of adjustable. Over-tightening the adjusting nut difficult to turn the steering wheel.